By law a limited company needs to keep accurate books and records and submit annual accounts and corporate tax returns. However, there is more to life than spreadsheets, keeping up with the latest accounting standards and reading through the accounting requirements. 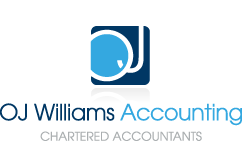 This is where OJ Williams Accounting Limited can help and let you concentrate on what you are good at - running your business. We offer the full range of services your business needs, including company formations, help with monthly accounting, payroll services, auto enrolment, VAT returns, CIS returns and corporation tax returns. We believe accounting information should be informative and add value, it shouldn’t always be reactionary and out of date after your year end. If you have up to date accounting information you can make more informed business decisions. If you provide us with details of your sales invoices and expenses monthly we will enter all the details into our online accounting software. Using this data we will provide you with a monthly management pack which contains a profit and loss account, VAT and corporation tax liability projections and projections on what dividends you can take from the business. You will have your own log on to the software and will have access to a range of reports showing your exact financial position. A monthly fee will also cover compiling your annual accounts, corporate tax return, VAT returns, your payroll function and annual Companies House confirmation statements. Other businesses can manage by monitoring their own financial position and every year hand over their bank statements and invoices to us to put together annual accounts and corporate tax returns. When you run your own business one of the most important things to consider is the most tax efficient way of extracting cash from your business. This could be through dividends, salary or a combination of both. This depends on the level of your income or other earnings you have. We will give you a free review of your personal tax position. Sensible tax planning can save you £’000’s in income tax and national insurance but also ensure you don’t lose the right to a full state pension when you retire.